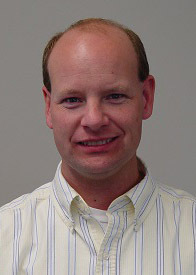 Mark is Associate State Climatologist with the Oklahoma Climatological Survey and Assistant Professor at the University of Oklahoma’s Department of Geography and Environmental Sustainability. His research interests focus upon natural hazards, particularly on communication between the scientific community and policy makers in planning for and managing societal response to extreme events and climate change. He was a coordinating lead author for the 3rd National Climate Assessment Great Plains Chapter (2014) and formerly chaired the AMS Board on Societal Impacts (2010-2011) and was a program chair for the Symposium on Policy and Socio-Economic Research (2008-2010). Mark holds a PhD in Political Science and an MS in Meteorology from the University of Oklahoma and a BS in Atmospheric Sciences from the University of Illinois-Urbana.